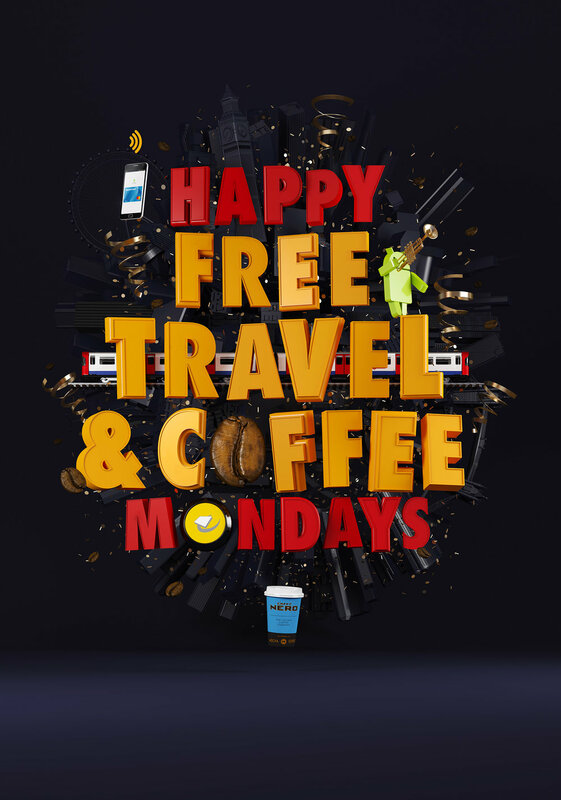 A set of 6 CGI Illustrations and animations for MasterCard and Android Pay to advertise their promotions of free travel on the TfL network on Mondays when they tap in with their Mastercard in Android Pay. They can also pick up a free cup of tea or coffee from Caffè Nero if they pay with the same method. 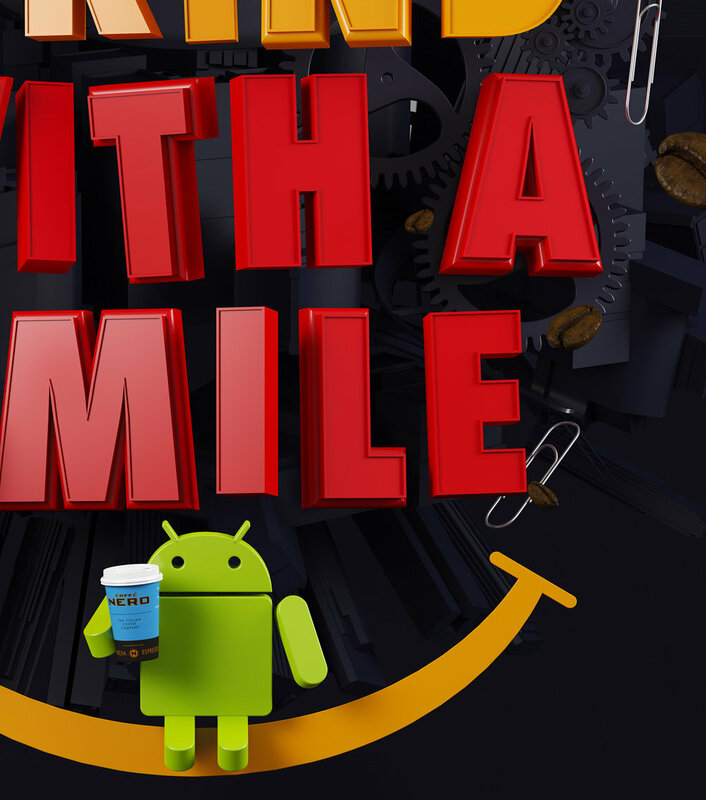 The illustrations run on digital screens within 500 metres of Caffè Nero stores across the UK and also in print, digital displays and social media.